6 Ways Businesses Are Using Augmented and Virtual Reality Today - Augmented Reality, Virtual Reality & Mixed Reality services in Chennai, India. Virtual and augmented reality are set to disrupt the digital workplace. It will not happen immediately, but it’s expected to happen in the medium-term, with many observers suggesting it will take between three and five years before the full impact is felt. That said, a number of industries are already starting to use the technology to enhance productivity and make better use of content. Proponents predict VR meetings will replace video conferencing in the near future for cutting-edge firms with remote staff. Some companies with a high dependency on remote staff are already using video as the key driver to scale their report operations. Virtual reality will take that a step further. Instead of looking at people on a screen, users will be able to “sit” at the table with office-based employees using VR. However, we are still in the early stages of software development and best practices are still being developed. 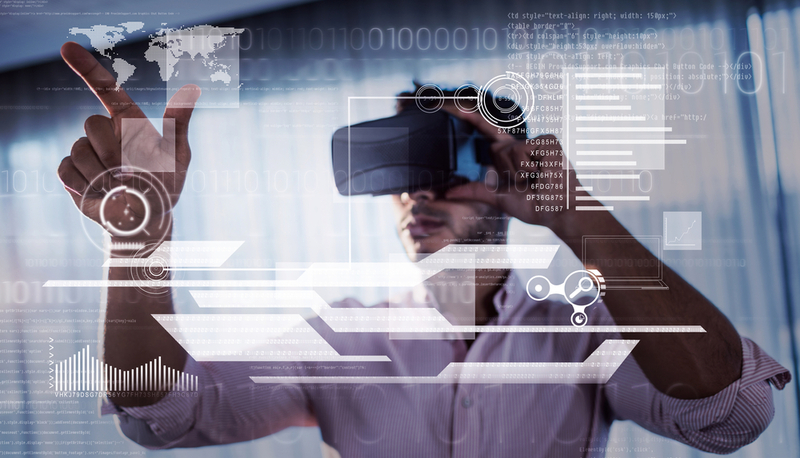 One tip Heide Abelli, SVP of content product management for Nashua, NH.-based Skillsoft previously shared with CMSWire was the importance of creating high-quality content made specifically for VR and AR. The entertainment industry is having the most success with this, specifically in the video game sector. “A perfect example of how to use augmented reality comes from nurses who use it to locate veins faster and more effectively,” he said. He cites the example of AccuVein’s augmented reality tool, which allows nurses or doctors to use a handheld device, which scans the patient’s body and makes the vein visible. This greatly improves accuracy and decreases the likelihood of having to stick a patient multiple times. VR has even gained ground on the factory floor, according to Tom Wilkerson, founder of online and VR forklift training firm CertifyMe.net. He said VR makes it possible to offer hands-on experience without any risk to worker’s safety or equipment, which leads to savings in time and money spent on in-person education, repairs, insurance claims and liabilities. “While VR may seem like a costly initial expense, it can help you grow your business and reduce unwanted costs down the road,” he said. Overland Partners, an architecture firm based in San Antonio, is now using AR and VR on a daily basis as part of their design process. According to a statement from the company, designers can create very quick models and view them in VR to understand the scale of a space and make early changes. “We can take the very detailed model that we use to create working drawings, view it immediately in VR allowing us to review material changes, how sunlight moves through space, and the overall feel of a space,” the statement explained. Splunk chief technology officer, Tim Tully, said gaming has been the most popular area for mainstream AR and VR experiences to date, but this is going to change fast. IoT, manufacturing and supply chain management are logical areas for AR to impact both the user experience and the outcomes immediately. A warehouse floor manager or mechanical technician can scan a QR code or NFC tag that plugs them into health-monitoring dashboards and overlays real-time gauges on-top of real-world objects. Technicians can work off real-time health and performance statistics ensuring optimum functionality and efficiency while minimizing machine downtime. “This approach is happening today — the University of Connecticut uses AR within its aquaponics lab, where plants and stations are labelled with QR codes,” he said. Augmented reality has already seen phenomenal (though short-lived) success in Pokémon Go. The game encouraged players to get outdoors and capture monsters that were overlaid on the real world when viewed through a smartphone camera hit peak popularity during the summer of 2016.